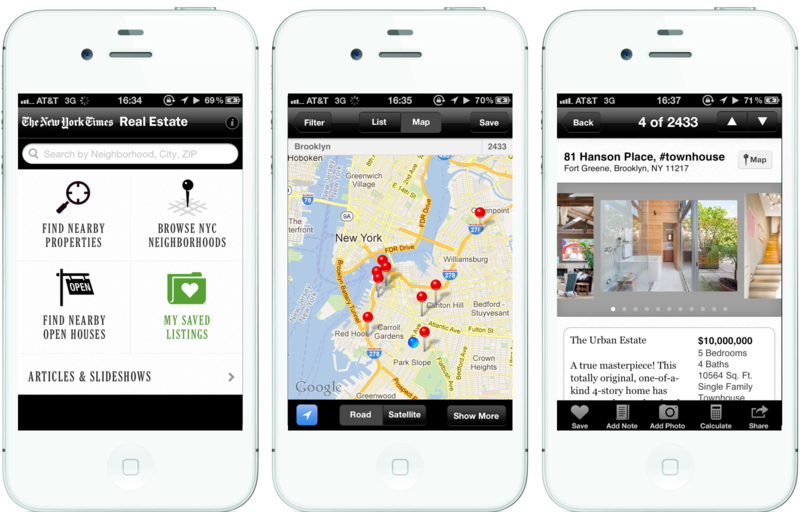 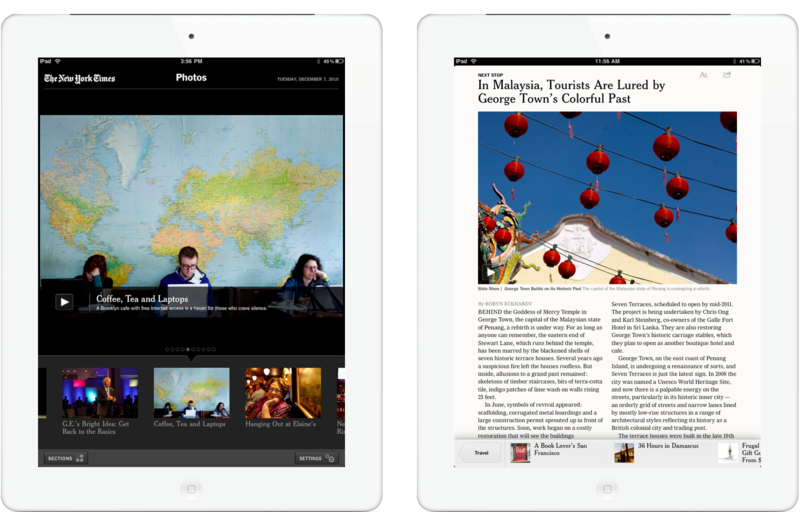 From 2009-2011, I was the sole interaction designer on all of The New York Times’ flagship mobile apps and worked alongside the mobile team to design, launch, and evolve the first NYT iPad app, the second major release of their iPhone app, and the NYT Real Estate App. 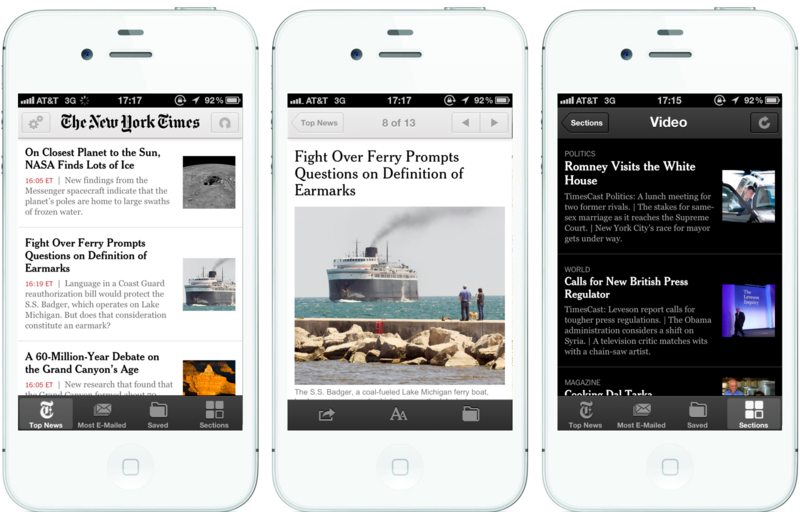 I also oversaw the design of the first release of the NYT on Android. 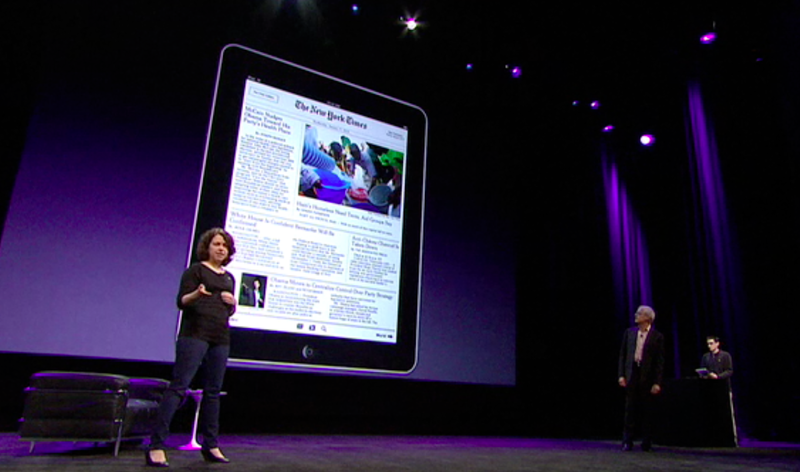 In January 2010, I had the opportunity to work with a small team inside Apple to create a demo of one of world’s first iPad applications and led the on-stage demo at Apple’s iPad press conference on January 27th, 2010.